Your video, Walking plastic bag, has made it into the Top 15 New Videos listing. Congratulations on your achievement. For your contribution you have been awarded 1 Power Point. 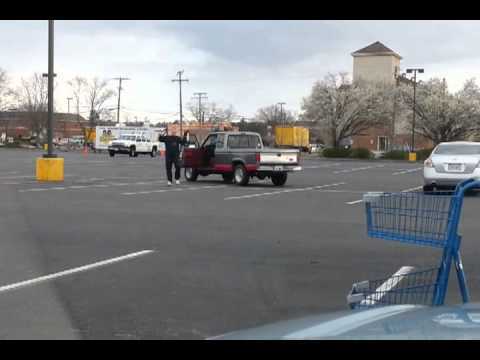 Your video, Kung Fu Grandpa in the Food Lion parking lot!, has made it into the Top 15 New Videos listing. Congratulations on your achievement. For your contribution you have been awarded 1 Power Point. Congratulations! Your video, Teen 'Jeopardy!' Contestant Answers Question Like A Boss, has reached the #1 spot in the current Top 15 New Videos listing. This is a very difficult thing to accomplish but you managed to pull it off. For your contribution you have been awarded 2 Power Points. 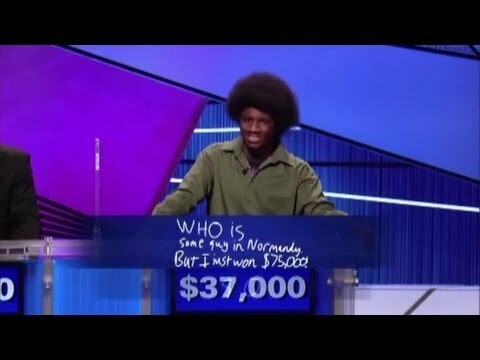 Your video, Teen 'Jeopardy!' Contestant Answers Question Like A Boss, has made it into the Top 15 New Videos listing. Congratulations on your achievement. For your contribution you have been awarded 1 Power Point. translation: I'm not your buddy, guy! I love it when this happens in my scotch!